We had the pleasure of color grading and finishing this fantastic documentary, Tim’s Vermeer, by Teller (yes, of Penn & Teller). Sony Pictures Classics will be distributing it to theaters this Winter. 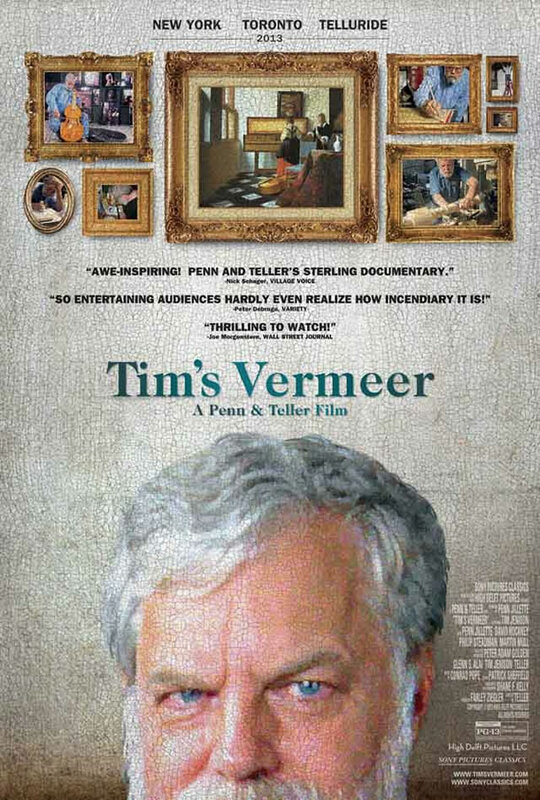 Tim’s Vermeer is the story of inventor Tim Jenison and his obsession with the Dutch painter Johannes Vermeer. After receiving a book on Vermeer written by artist David Hockney, Jenison becomes fixated on the theory that Vermeer used technology to paint his masterpieces. Utilizing clever arrangements of mirrors, Jenison, an inventor not a painter, is able to successfully recreate a black and white photograph as if he’d been painting for years. The real challenge begins when he sets out to duplicate a rarely viewed Vermeer painting, “The Music Lesson”. The documentary follows Jenison over the course of several years as he learns about and gathers all of the materials necessary to meticulously recreate the scene of “The Music Lesson”. Jenison builds replicas of 17th century furniture, hires a pottery specialist, and travels to Amsterdam to learn how to mix his own paints, among other things. Nick color corrected the documentary from numerous sources – DSLRs, consumer cameras, and RED – all precisely conformed with the help of the multitalented, Daniel Stuyck. Supervised by producer Farley Ziegler and editor Patrick Sheffield for a week, we came out with a festival-ready color graded film. Some of the unique needs presented – converting the film from a native 30 fps to 24 fps for cinema distribution. For this, we converted via the Blackmagic Design Teranex, and also smoothing out some shots in Smoke via its fine motion estimation tools. Other contributions in the final process included compositing help from Clint Beckwith, rolling credits by Daniel Stuyck, and DCP creation from Keefe Boerner of Tugg, Inc.
Finland Finish is thrilled to have been apart of Tim’s Vermeer! We highly recommend this documentary. Check out the trailer.